Below are the top reasons to invest in gutter protection systems. Installing gutter guards will cost you, but they pay for themselves many times over by helping you save time, energy and money you would otherwise have spent on gutter cleaning and water damage repairs. Gutter guards also add value to your home. Gutter Helmet®, the first and best gutter protection system on the market, guarantees that you’ll Never Clean Your Gutters Again®. It keeps water flowing freely while getting rid of leaves, twigs, pine needles and other clog-causing debris. A gutter protection service doesn’t just protect your home – it protects your neck too. It keeps you off dangerous ladders and saves you from fall-related injuries. Mesh screens range from simple plastic grids that screw into gutters to more complex systems that use multiple screens. They usually cost less than other gutter protection products. The downside is that debris tends to collect on the screen itself. Perforated metal guards fit under roof shingles and cover the gutter. This type of cover can keep out leaves, but not needles, pods and seeds. As more debris becomes stuck in the perforations, water is increasingly likely to overflow. Gutter Helmet is a nose-forward gutter cover that uses surface tension and gravity to keep water in and debris out. Water clings to the gutter guard’s nose and is channeled into the gutter, while debris falls right off the edge. This design is superior to both mesh screens and perforated metal gutter guards in that it offers true hands-free gutter protection. 1. Type of Gutter: Sectional gutters are inexpensive but more prone to leaks at the seams. Seamless gutters, on the other hand, are welded only at the corners and downspouts. They are made of a continuous piece of metal and are less likely to fail. 2. Material: Gutters are usually made of vinyl, steel, aluminum or copper. Among these, aluminum gutters are the most common because the material is affordable, lightweight and resistant to corrosion. High-quality materials are also a key consideration for gutter guards. 3. Installation: Choose a reputable local contractor who genuinely cares about your home, your safety and your satisfaction. Gutter Helmet’s factory-trained installers are polite and professional. They complete each installation job efficiently and leave the property better than they found it. 4. Guarantee: Gutter Helmet offers customers an unbeatable Triple Lifetime Warranty. It’s backed by our reputation as the pioneer and acknowledged leader in the gutter guard industry for over 35 years. 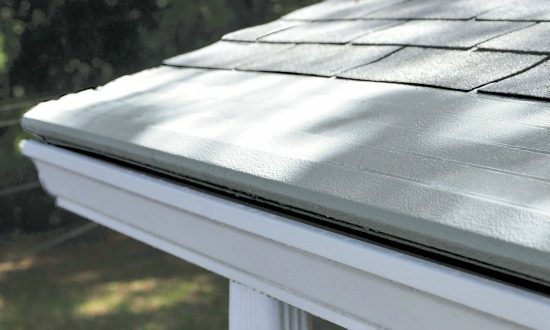 Gutter Helmet strives to give you all the information you need to make an informed decision about gutters and gutter covers. To learn more about your options, get in touch with your local Gutter Helmet dealer. You can also call (800) 824-3772 or fill out our contact form to request a free in-home consultation.